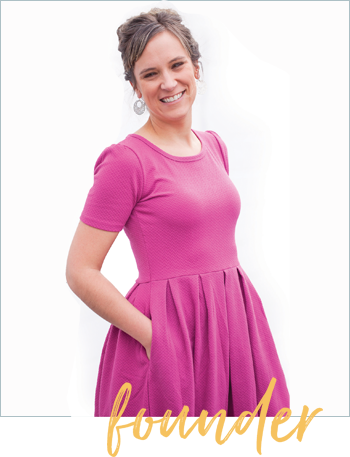 Meet Business Strategist Heather Crabtree! At Sparkle Hustle Grow, the month of March is all about building confidence! Our guest expert for March, Heather Crabtree, knows a thing or two about confidence. Heather is a business strategist and the founder of The Savvy Community, an awesome community of women designed to offer support, guidance, and wisdom when it comes to business building. We hope you are just as excited as we were to learn a little more about Heather in her guest interview below. When Heather first began her journey as an entrepreneur, she coached women 1:1. 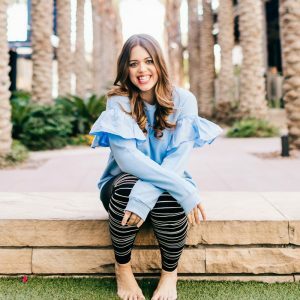 Her business has now blossomed into group coaching along with The Savvy Community which is a membership site and a place for women to receive coaching from Heather and her team. Obviously, Heather has knowledge and experience in the business world. Her most important piece of advice for other female entrepreneurs is to find other women who will listen to you and support you. “Being an entrepreneur can get really lonely and sometimes discouraging, but your biz besties will be there to always pull you back up,” she said. Heather took her own advice about leaning on other women. Last year, Heather’s daughter was diagnosed with Stage IV cancer, and Heather relied heavily on her team to help her get through this daunting year and keep her business running smoothly. “I owe so much to them,” she said, emphasizing the amazing efforts of team members Irene, Kayli, Amanda, Rae, and Lauren. We are honored to have Heather as our guest expert for March! To subscribe and receive Heather’s expertise, visit Sparkle Hustle Grow and explore our boxes, mini-mailers, and VIP subscriptions.